& RUN FASTER & MORE COMFORTABLY THAN EVER! To rebuild your core and pelvic floor using the best core workouts specifically designed for runners. Know how to return to running safely after baby! Understand the most common mistakes of 'mums that run' & how to fix them. Have access to ongoing expert advice, without having to keep paying for it! Enjoy the complete video workout series & empowering informative tutorials. Along with HEAPS of supportive PDF documents and booklets. PLUS enjoy online support from Taryn, every step of the way! Empower yourself with the knowledge that you need! Learn all about the core & pelvic floor & understand how to optimise your pelvic health through daily habits. Know how to assess & treat abdominal separation and understand the 'warning signs' of pelvic organ prolapse. Sounds too simple to be true! Learn the incredibly effective & easy to remember ABCDE technique to help you to: troubleshoot your exercise & strengthen your core + pelvic floor. This technique is the key to running strong, faster, and more comfortably than ever! With this technique you will understand how to improve your posture & alignment ; address breathing patterns; and engage your core effectively during exercise. The technique also helps you to know how to evaluate, troubleshoot & modify almost any postnatal exercise. 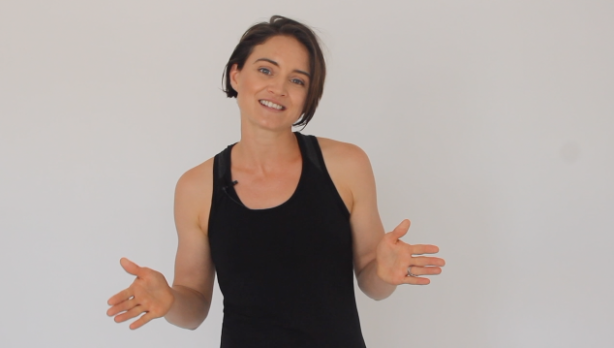 Know how to exercise the core & pelvic floor - plus learn how to tell if you are doing your pelvic floor exercises right! Enjoy progressive core workouts and strengthening exercises that are specifically designed for running. The workouts become progressively harder, so that you continue to strengthen the core from the inside out with running in mind! Learn how to choose your running terrain, and improve your running gait. Lean exactly how to start running and how to progress your running. Taryn will also teach you the most common mistakes postnatal runners make, and how to fix them. Join the private facebook group and get continued online support from Taryn. Enjoy the opportunity to ask questions and be guided by Taryn in a group forum through live posts and bonus video content. Let Taryn help you achieve your personal running goals whilst enjoying a community vibe from likeminded women! Want bonuses? You'll get heaps! Enjoy your bonus booklets and get ALL of your questions answered. You will also enjoy lifetime access & money back guarantee. Working as a Physiotherapist dedicated to helping new Mums return to optimal health, a Mother of two and a world champion triathlete I know how difficult it can be to return to running after having children. It's often not until it's 'too late' that women understand that they have taken a 'risky' approach to their postnatal running. 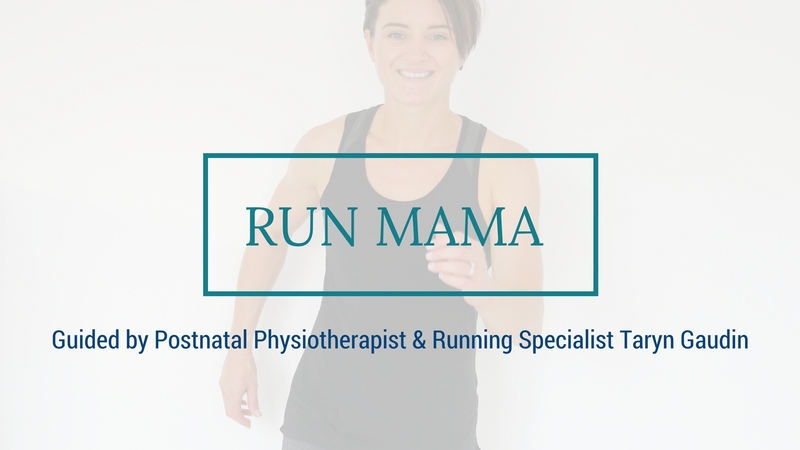 One to one therapy can be time consuming, costly and inconvenient.... That’s why I created Run Mama, to bring you the bespoke program that I usually only save for my private clients. I love running! Not only for it's physical benefits, but more so for it's mental benefits. After my first baby I was back in action within six weeks, and representing Australia for triathlon within 15 months! Running faster than ever! After second baby things weren't so easy! I had to take it super slow and steady. It was frustrating, but I knew I had to do it right! I GOT THERE! Why? Because both times I knew how to recover, & how to rebuild my core specifically for running! My goal is to help you enjoy running, perform your best, and be safe. I promise that if you choose to work with me, you will be guided with integrity, passion, & genuine support. I am committed to delivering an experience that you will love & enjoy, and to actually get to know you - so that I can help you with your specific running goals. If I sound like the therapist for you, then I would absolutely love to help you out! WANT ACCESS TO PROGRESSIVE, CHALLENGING, SAFE & CONVENIENT EXERCISE THAT WILL ACTUALLY GET YOU TO YOUR RUNNING GOALS? How long postpartum should I wait until I start this program? You can start this program as early as 6 weeks postnatally. However, it is not recommended that you start running until at least 3 months postpartum. I had my baby years ago, but I am having problems with leakage when I run. Will this program help? YES! Absolutely. Whether you had you baby 6 weeks ago, 6 months ago, or 6 years ago – this program can help to rebuild your core, and your foundations for running. What if I have difficulty during the program? Taryn will be here to support you every step of the way. The private Facebook group is a great setting to ask questions and get the support you need. If you need further more personalised support, Taryn offers online consultations via Facebook & Skype. What if I feel like I need more time with the program? You have lifetime access to this program. There are absolutely no time pressures. What if I have never run before? That’s OK! This is a GRADUATED return to running. In fact this program is the perfect way to start out if you have never run before. Will I need any special equipment for the program? Not at all! The only equipment that Taryn recommends (but is certainly NOT REQUIRED) is a yoga/pilates mat – if you have one! You will also need appropriate footwear for when you start running. I still have more questions. What can I do? Please feel free to contact Taryn. You can email Taryn, simply by clicking the button below. RUN FASTER, & WITH MORE EASE? INCREDIBLE VALUE AT JUST $149!